Pensioners (those of state pension credit age). People who have a severely disabled child – parents or guardians who have a child that receives Disability Living Allowance. We welcome any move by the Council to alleviate the burden of the unjust ‘bedroom tax’ which is a blatant attack on the poorest in our society. It states that the above people are ‘protected’. However it is unclear whether Bournemouth Borough Council are ‘exempting’ the above people or following government guidelines relating to Discretionary Housing Payments (DHPs). We are extremely concerned that DHP’s are made from a budget-limited, non ring fenced discretionary fund and often limited to just a few months to provide temporary help. We feel they are not a viable long-term solution as they fail to give people with disabilities the assurance that their housing needs are secure. DHPs will also be needed as a result of other aspects of welfare reform (such as the benefit cap and the changes to council tax benefit). In the long term, it is likely there will be insufficient resources to help all disabled people who need to remain in their current home. We feel DHPs are not suitable to mitigate the effects of the policy on disabled people. 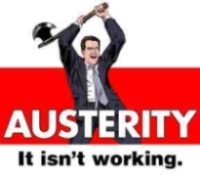 Their discretionary nature means claimants cannot appeal against apparently unreasonable or irrational allocations. More than three-quarters (77%) of people claiming Disability Living Allowance (DLA) choose to live in the social sector as it provides the additional space and security with many properties having been significantly adapted for their needs. The Government has exempted DLA recipients from the household benefit cap, ‘in recognition of the additional financial costs that can arise from disability and that disabled people will have less scope to alter their spending patterns or reduce their housing costs.’ However, the same principle has not been applied to DLA claimants who are expected to be hit by the Bedroom Tax. 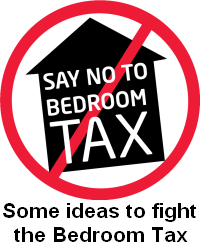 Is Bournemouth Borough Council exempting all people stipulated in the Home News article from the ‘Bedroom Tax’? Where it is determined that people are entitled to DHP, will funds be made available for all cases irrespective of whether the money allocated by central government is exhausted? Will DLA income be taken into account when assessing a family’s income? Where parents or guardians of children receiving DLA no longer live together, will both households will receive DHPs? Thank-you for your time in considering these issues and we look forward to receiving your response.